Travel Theme:Industry | Oh Danny Boy! 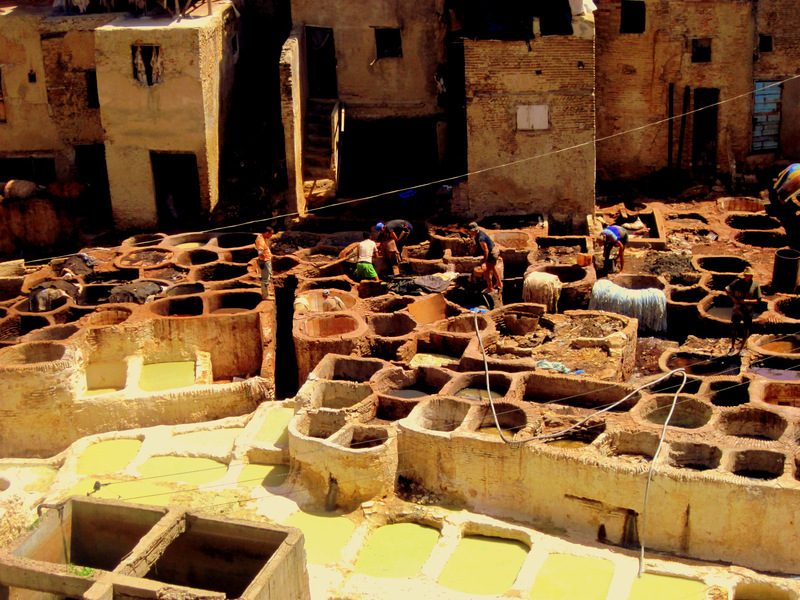 This entry was posted in Travel Theme and tagged Fez, Morocco, Morocco Photos, Photography by Danny James. Bookmark the permalink. Great photo and description of the leather-making process. The way of life changes very slowly – some things not at all – out in those places. We saw similar sights in Tunisia and Egypt. Your post suits the challenge title so well. Thanks! I’ve been to Egypt but never experienced anything like Fez. Perfect photo for this challenge! Can’t believe this actually. Believe me I will never, never, forget that smell. THe mint leaves did not help that much. How interesting! Does the mint really help?